AMANPOUR: Bashar al-Assad was your friend. Describe him. Describe his character. TLASS: This question is really embarrassing because I defected because I started to feel the feelings of a citizen. I remember very well how I defected. I cannot speak in that light. Because I remember that video that I saw when they stepped on the head of a Syrian citizen in Banias. I could no longer call Bashar al-Assad a friend. But when I told him after seeing that video, that person who stepped on the head of the Syrian citizen must be punished, ever since then I can no longer be a friend of Bashar’s. He has different qualities, he is humble. He loves people. But he has changed. The crisis has changed him. The full transcript for this interview will be posted here. Amanpour airs weekdays on CNN International at 3:00pm with a replay at 5:00pm Eastern in the U.S. 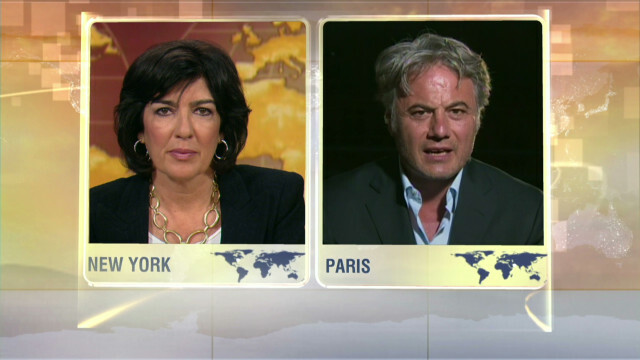 In Europe, Amanpour airs on CNN Internatioanl at 21:00 CET, with a replay at 23:00 CET.